If you pre-ordered Duke Nukem Forever a decade ago, there may still be hope for you yet. 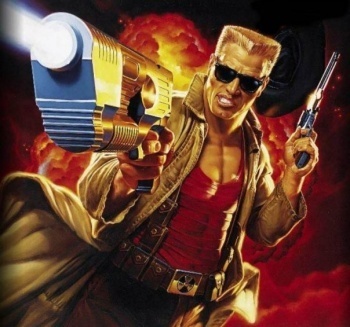 Duke Nukem Forever was first announced back in 1997. 1997. Some of the most world-changing events in history took less time than the development of Duke Nukem Forever - the entire Manhattan Project, for one - from its announcement to semi-tragic death to eventual rebirth. Twelve years of development is also quite a bit of time for a game to rack up more than a few pre-orders - pre-orders that many assumed had just been wastes of money after 3D Realms went under. As it turns out, they might not have been complete wastes after all. Forever's new developer Gearbox has been speaking with game retailers to try and honor as many pre-orders as possible, says Gearbox boss Randy Pitchford. "There are a lot of people who pre-ordered the game," Pitchford told VG247. "We've been starting to talk with retailers because we didn't take them directly, and 3D Realms didn't take them, it was all retailers going 'I'm going to take this guy's money.'" "We've started to engage them, saying 'Hey, you've got customers who you made a promise to, and any bad feeling they have will reflect on us, so can we work together to do something for those people?' ... I don't know what we can do yet, but something should be done for the people who pre-ordered." A savvy business move, Mr. Pitchford. Goodwill among gamers is a very valuable resource indeed. Now let's just hope that everybody kept their receipts.